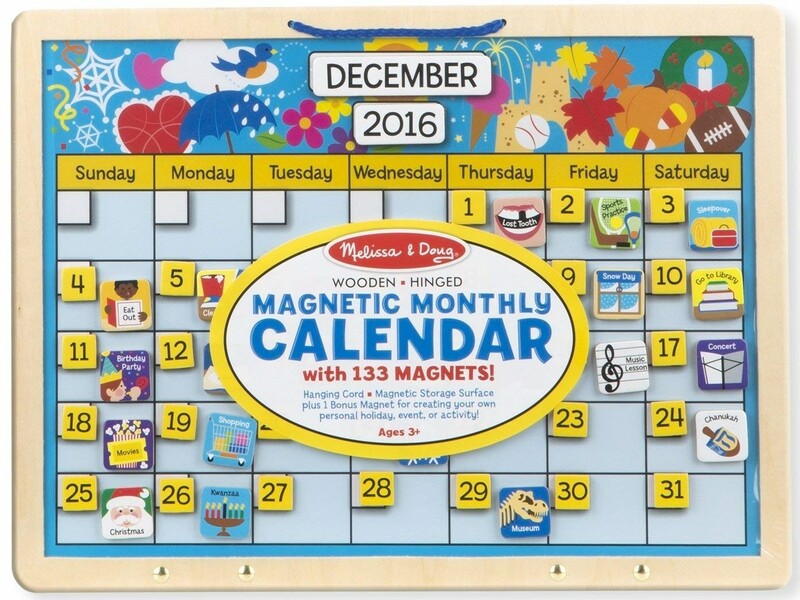 With this magnetic calendar from Melissa and Doug, kids can learn about months of the year, days of the week, holidays, seasons, and more! 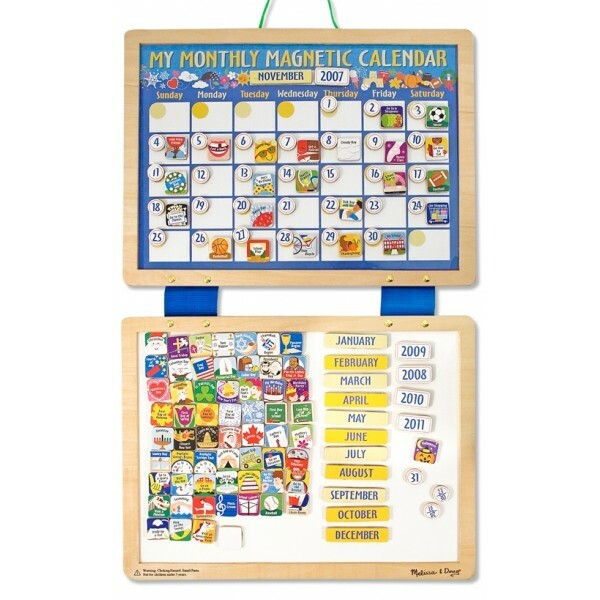 A pair of magnetic dry-erase boards are hinged together to create this calendar set; use the month names, numbers, and event magnets to plan out the month ahead. The other pieces can store on the bottom panel, or you can stash them elsewhere and use it to jot notes. 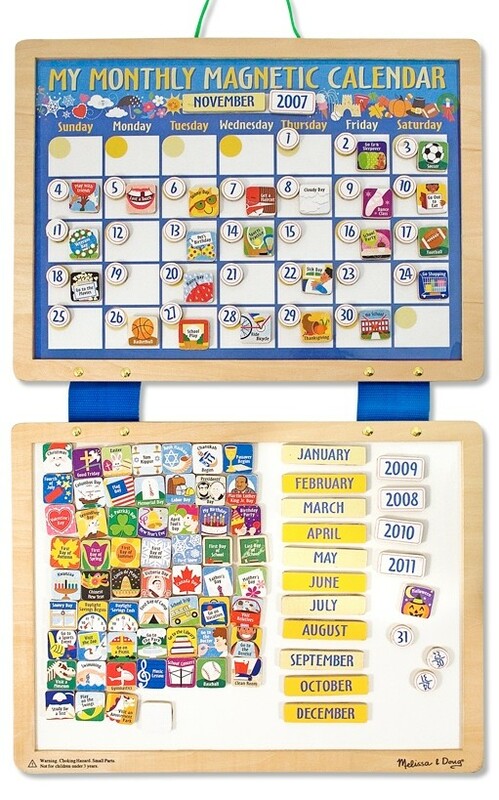 Kids will love having their very own calendar! You can find more toys that teach important skills like time management in our Life Skills Toy Collection.